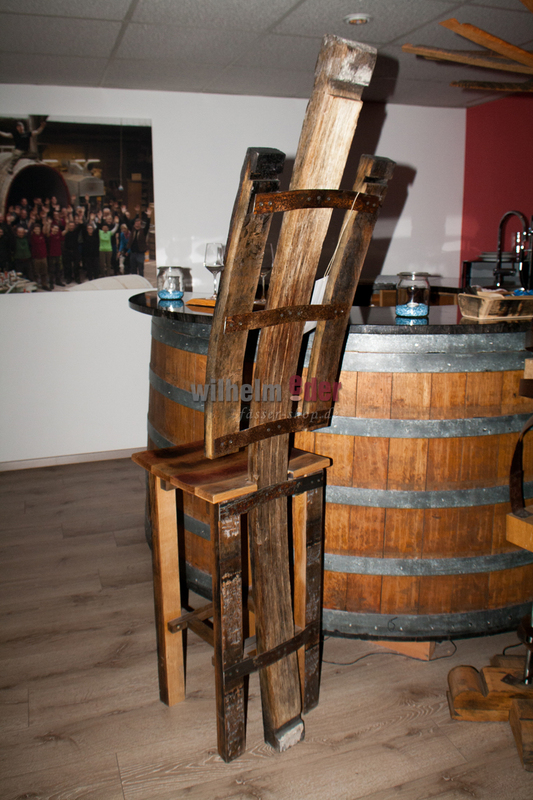 Product information "Exclusive bar chair"
The staves have been smoothed slightly and oiled. 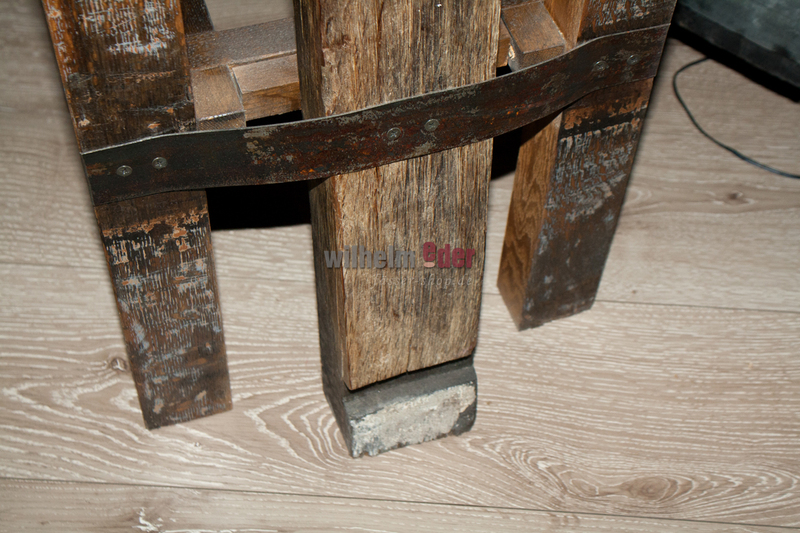 For more comfort the seating has been grounded. 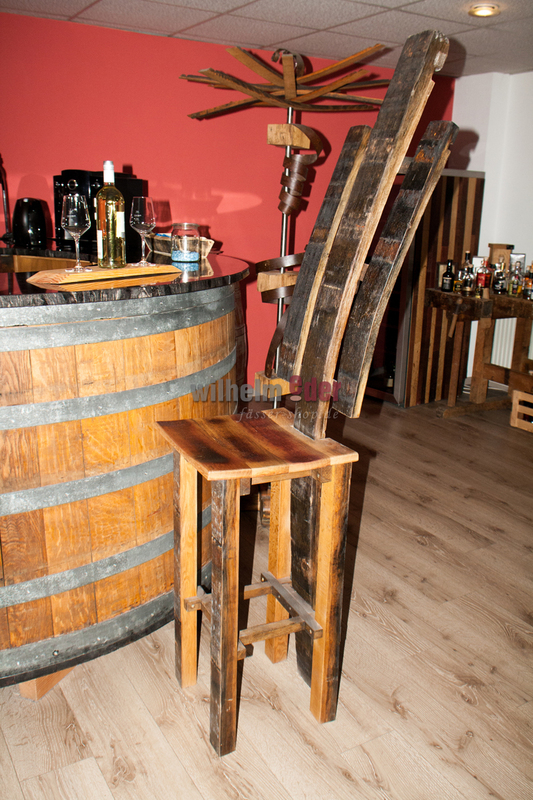 The back of the bar chair gives away a bit because of the fixing with the barrel hoops. 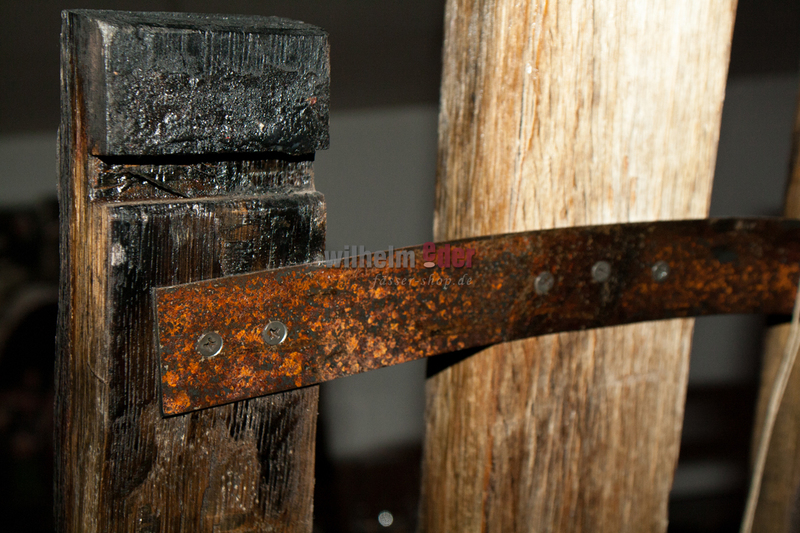 Thanks to a wooden cross constructing at the feet, the necessary stability is assured. 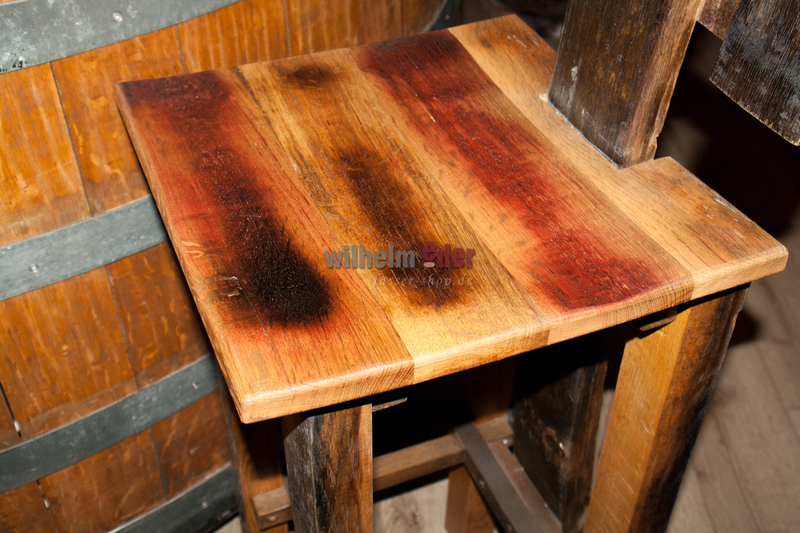 At the end the bar chair has been painted with spar varnish. 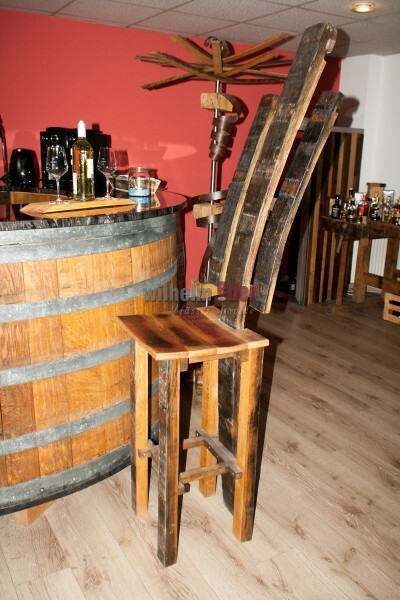 Every bar chair is an unique. It has been produced individually and according to the customers’ demands. Gladly we realize your individual wishes and ideas.